Sao Paulo in the 40s, 50s & 60s. 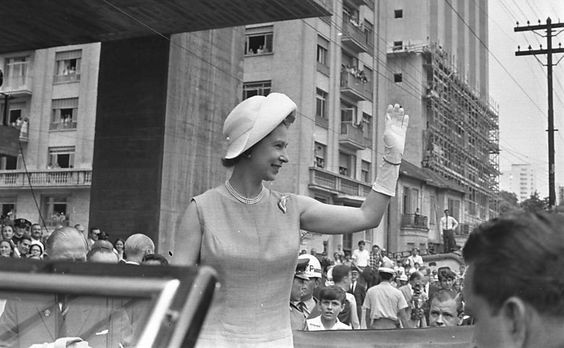 : QUEEN ELIZABETH II visits Sao Paulo - 8 November 1968. 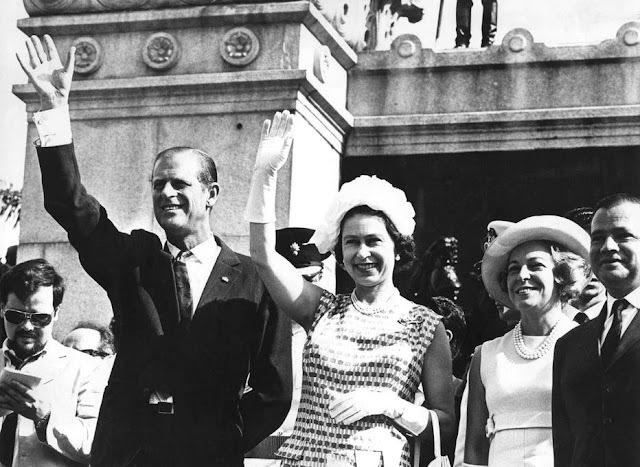 QUEEN ELIZABETH II visits Sao Paulo - 8 November 1968.
there's a dearth of Queen Elizabeth's photographs taken during her 1968 visit to São Paulo... this is the only one I could get hold of... which shows her waving to the public when she arrives to open MASP - Art Museum of Sao Paulo on 8 November 1968. Prince Philip, the Queen, Mrs. Abreu Sodré & her husband, not-elected governor of S.Paulo.